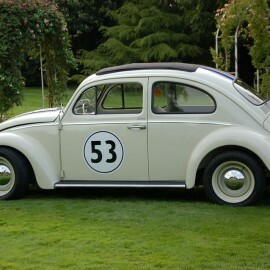 I have been in the wedding business at the Albright Hussey Manor for over 27 years and my other passion in life is cars. 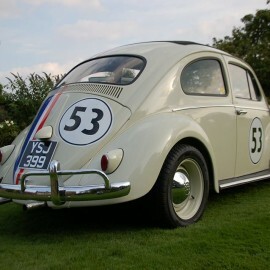 My first car was a 1972 VW Beetle hence VW’s have always been special to me. 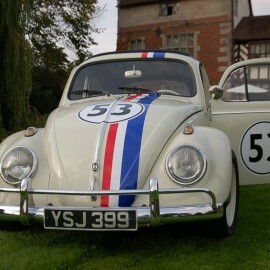 Herbie the Movie star and Celebrity left a huge impression on me and has touched the heart of millions of children and adults since the 70’s. So when I saw he was looking for a new keeper I decided I would make the perfect guardian for him. It was easy to see that he was perfect in every way and I realised that he would make a great wedding accessory. 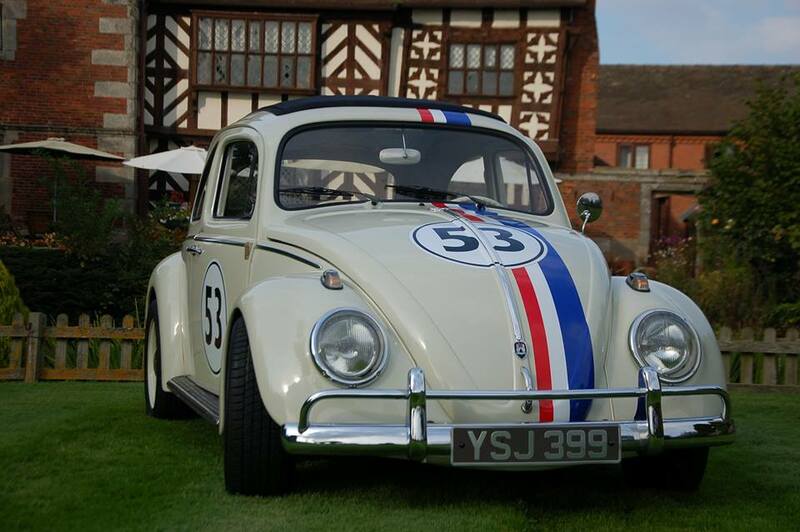 Herbie has the ability to put a smile on people’s faces, and naturally takes onlookers back to their happy childhood memories. 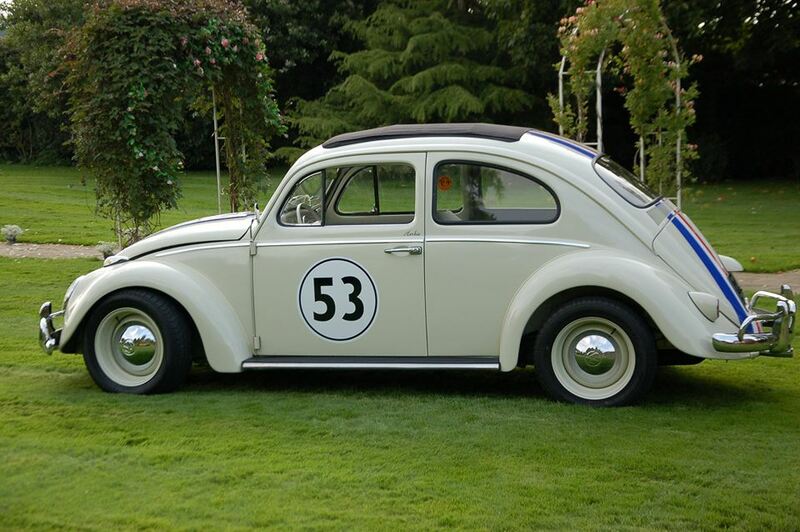 With the nickname of “Love Bug” this makes Herbie a perfect guest for a wedding celebration. 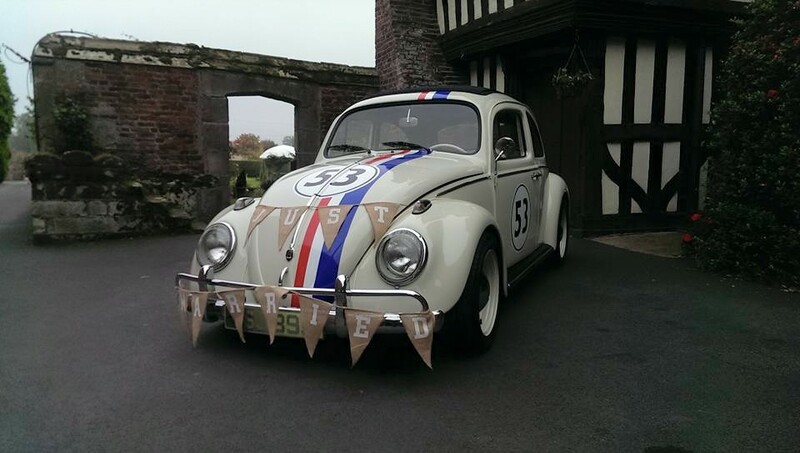 Vintage and retro are very much in vogue and as all future Brides and Grooms want something different I felt that Herbie would tick all the boxes. Thus he arrived at his new home in Shropshire on the 16th September 2015.
Who does not love Herbie? 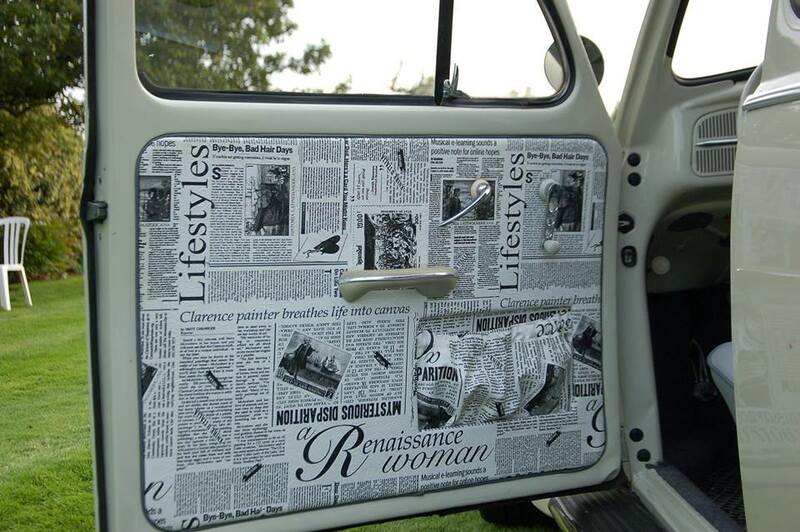 The little car with the big personality. 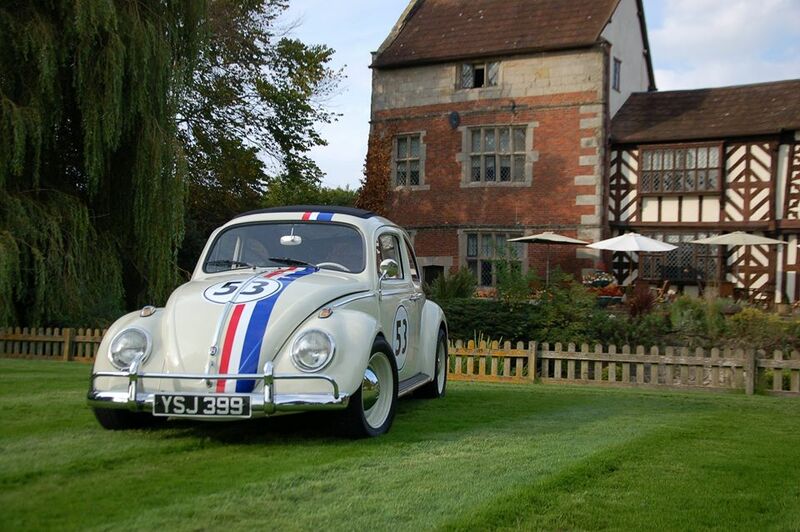 Well Herbie loves a big day out, and is at his best making people happy. Mention wedding, birthday or any kind of occasion and his big heart roars into action, turning up all shiny and smart to be part of the big day. 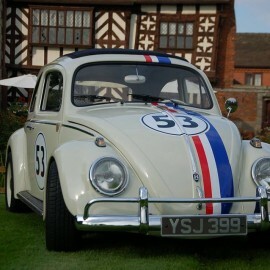 We take very special care of this famous and magical car and all our time is dedicated purely to keeping Herbie Happy. 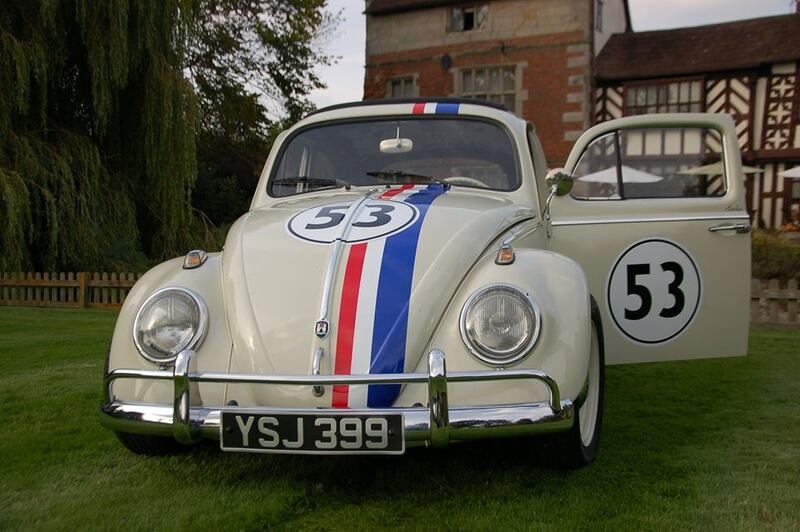 We believe that if Herbie is happy then everyone around him is happy because no other car can bring a smile to a face like Herbie can. 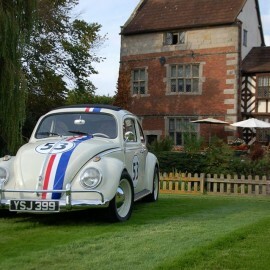 Herbie is raring to go at any time. What better way to arrive at your wedding. 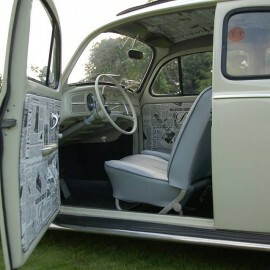 Herbie has been meticulously prepared and although he was born in 1960 he looks as if he has just come from the showroom. 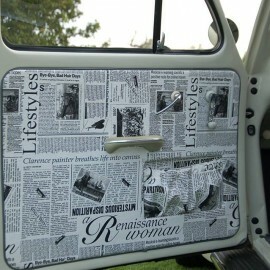 Thus he is very photogenic externally and internally with his novel Vintage interior. 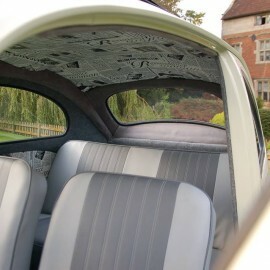 The traditional fold back roof not only puts sun on your face but allows for fantastic photo opportunities for the Bride and Groom. 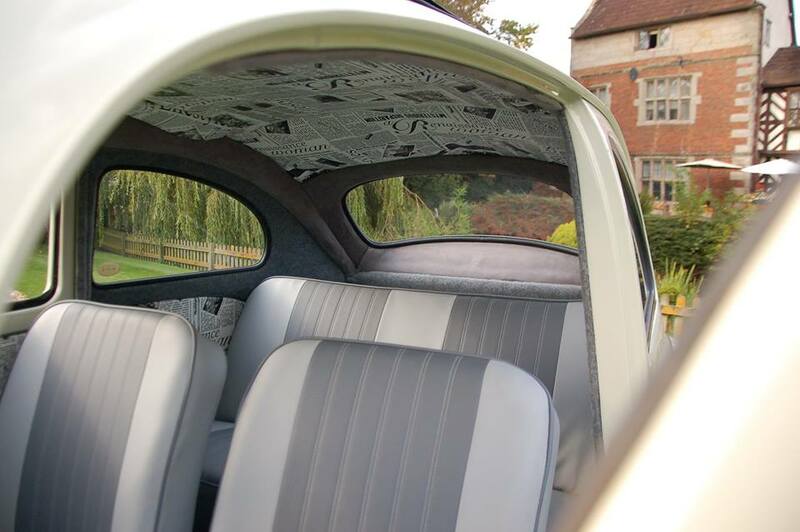 He can be hired with full chauffeur service to take the bride to the church and then the bride and Groom onto their wedding reception venue, where he will be happy to pose for photos. Prices from £220. He can be hired with full chauffeur service to deliver the Bride or Groom to the venue, and then stay for photos before and after the ceremony. After the ceremony he will then take the Bride and Groom for a Celebratory drive, which is a perfect opportunity to give the bride and groom some time on their own. Prices from £99.00 (If you are getting married at the Albright Hussey Manor). Other venues from £149.00. Prices from £60.00 (If you are getting married at the Albright Hussey Manor). 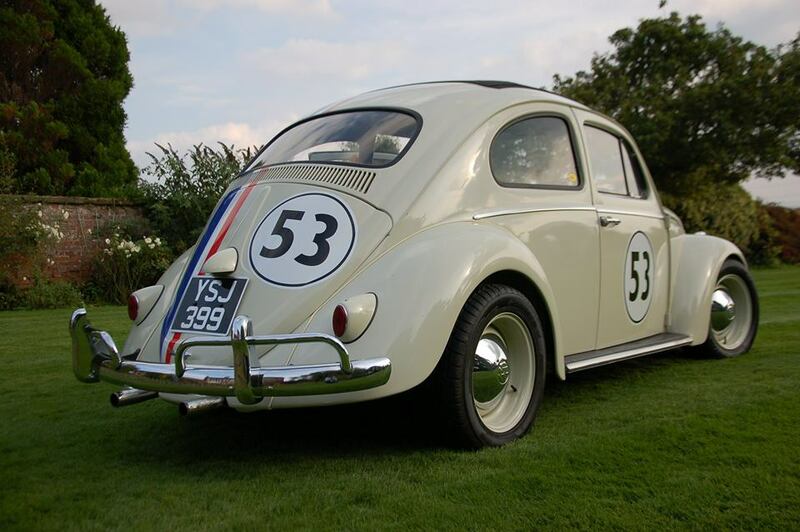 Before you decide to hire Herbie you are more than welcome to come and meet him. He lives at the Albright Hussey Manor Hotel, Shrewsbury SY4 3AF. Please call 07860 417281 or 01939 290571 to make an appointment. 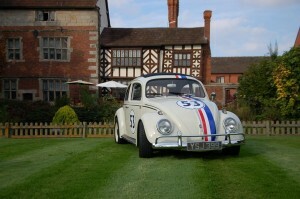 Herbie is available for product launches, film hire, advertising campaigns and all other marketing events. Please ask for a quote. 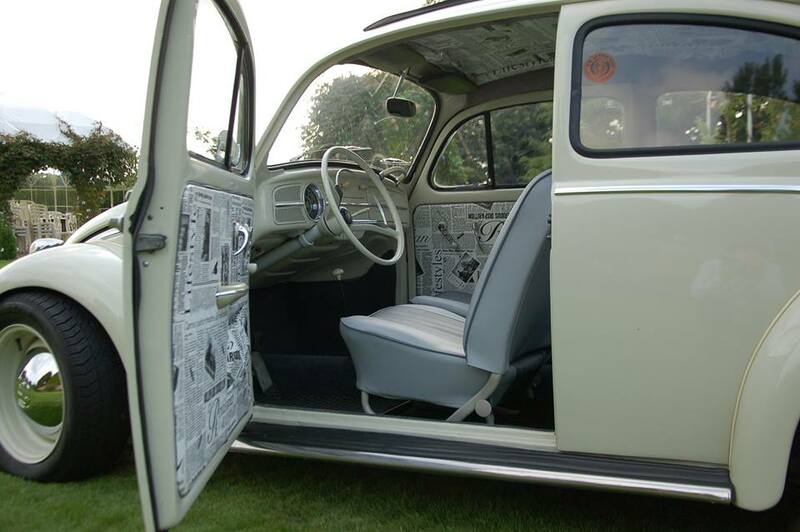 Vintage VW’s are a popular wedding accessory so if you are considering inviting Herbie why not also consider hiring one of his many VW Camper friends. Hire Herbie for the Bride & Groom and a VW camper for the Bridesmaids. 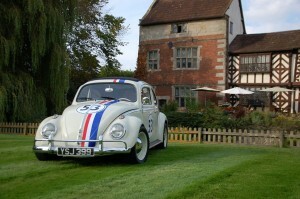 Hire Herbie and Polly’s VW Ice Cream Van. Hire Herbie and a VW Camper photo booth. Please contact Paul to receive a quote and to check availability. A £35 non- refundable deposit will be required upon booking and the balance will be required two weeks prior to the event.